Silvia Barbosa and Matt Knight opened this cart late last year. I had mentioned having green chile bowls in Colorado, and they noted living in Denver for a time before moving to Portland. Here, the main entrees are chicken mole and green chile (chicken or pork). The menu is 100% gluten free. The dinners include Peruvian beans, Spanish rice, and two corn tortillas. Other dinner plates include quesadillas or Peruvian bean nachos. For people with smaller appetites, there's a "Value Menu" featuring many of the same items. 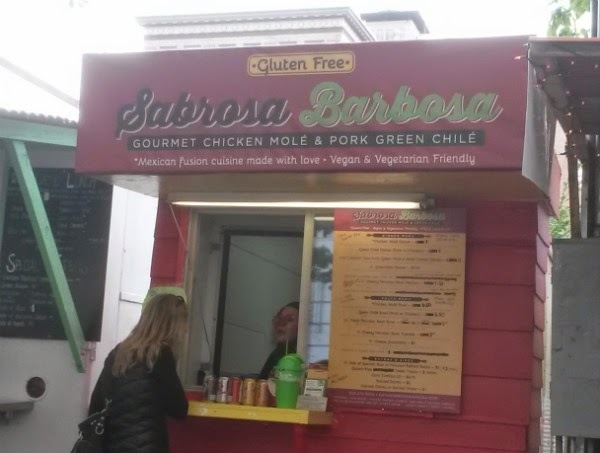 After trying a sample of both the mole and green chile, I was impressed with the consistency and spice of the mole, and even happier with the green chile. I was very interested in a recent menu item added to the menu: 16 oz. "Protein Bowls" with chicken mole, chicken/pork green chile, or both. 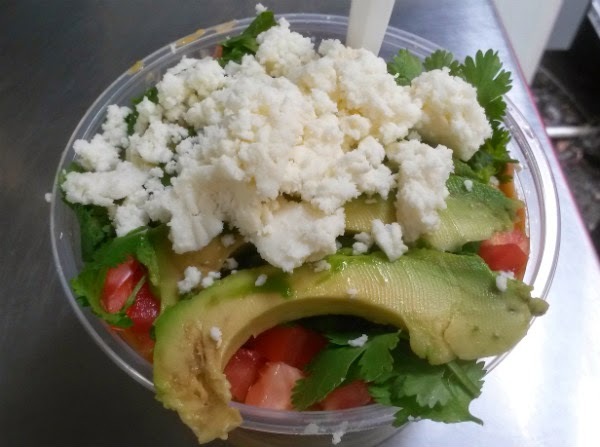 The protein is topped with Peruvian beans, white onions, tomatoes, cilantro, avocado, and queso fresco. Meat bowls are $7.75 and vegan bowls are $7. 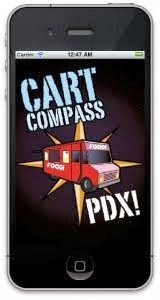 You can still add Spanish rice for no charge, or add Peruvian refried beans for $1 more. Chicken green chile was on the menu this day. I got my protein bowl with a bit of Spanish rice (to try for panda science). Although the green chile has just jalapenos and serranos, it surprisingly packed a good punch and had great flavor. The panda was breaking a sweat while finishing the bowl. That's always a good thing in my book. Very good Spanish rice. The rice and beans made the dish a lot more filling. Of course, it just had to be my second lunch of the day. Panda logic. I had read a couple articles where people noted the green chile was too spicy for them. I can see why. It's a dish that chileheads would crave a lot of. 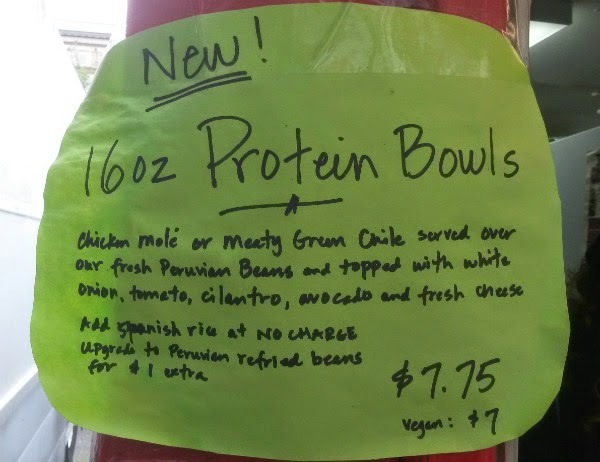 I also love the protein bowl because it places their signature item (the mole or the green chile) as the star. While it goes well with the rice and other toppings, I love it when I get a lot of the protein and not as much of the filler.